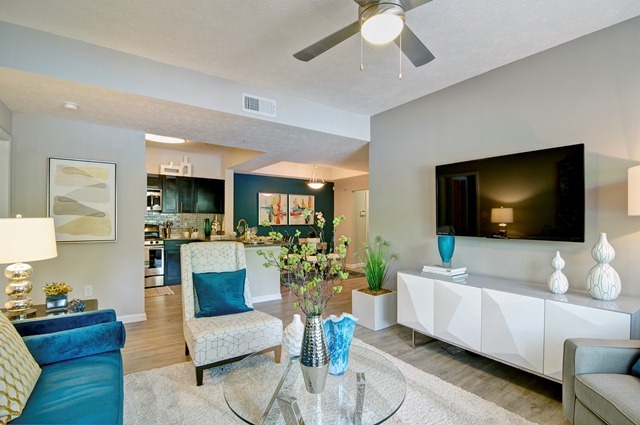 The living room in your apartment can be a space of comfort, relaxation, and socializing. From the color selection to furniture size, decorating a living room can turn into a daunting task if you don’t have a solid vision before you begin. 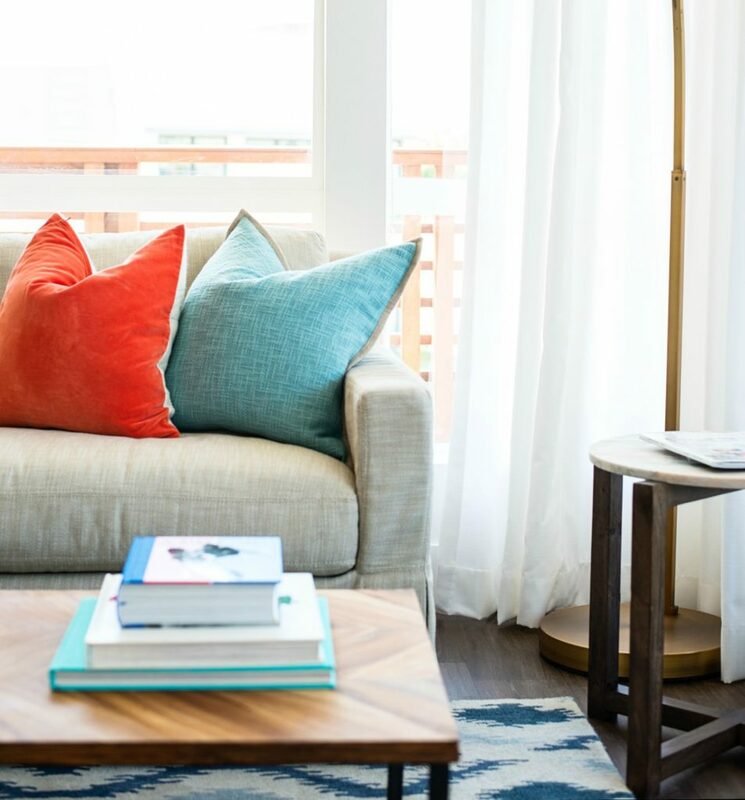 Whether you’re going for a summer season decor refresh or have a blank canvas in front of you, here are several ways to turn your living room into your new favorite, and permanent, “getaway”. Opt for Lighter Fabrics: When you think of packing for a tropical vacation, big and bulky wool items are the last thing to come to mind. Avoid heavier fabrics that will weigh down the look and feel of your tranquil space. Choose breathable, light fabrics in creamy eggshell and khaki tones. Accessorizing your space with items such as a simple, airy throw or canvas covered pillows will keep the “easy, breezy” theme going strong. 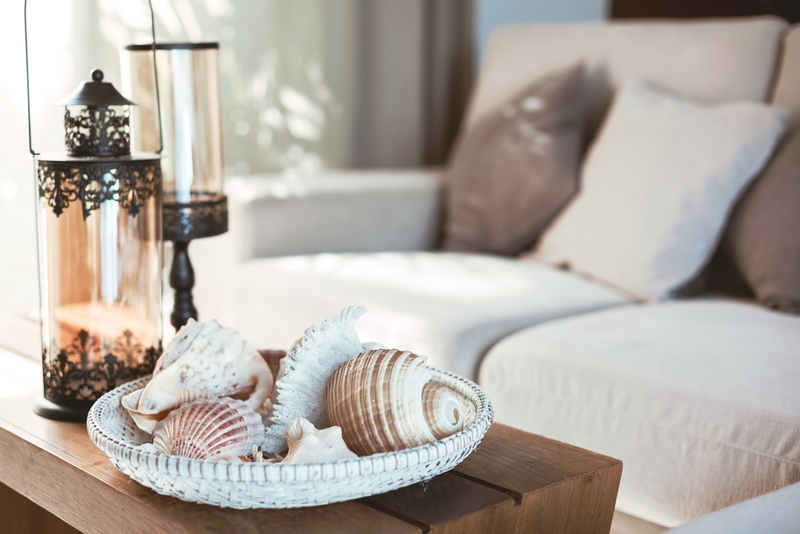 Add Nautical Details: Use sea-themed accents such as coasters made from sea glass, driftwood bookends or wicker baskets to hold books and magazines. These small details can make a big impact and pull together all of the individual aspects previously mentioned. Make it personal with souvenirs you’ve gathered from your travels or pick up unique, aquatic themed knick-knacks from a craft store or an artisanal, online marketplace. Keep The Color Flowing: Make use of your neutral background and add touches of colors reminiscent of a rocky current. Add a touch of teal, a splash of seafoam, or palm prints in the form of accent pillows, curtains, and wall art. Stick with either a warm or cool palette as clashing colors could throw off the tranquil space. Go For Soft Angles: While shopping for furniture, avoid large pieces with sharp edges. To keep in line with the vacation-like atmosphere, purchase pieces that have a less defined shape. Your furniture should look lived in and relaxed, not stiff or uncomfortable. 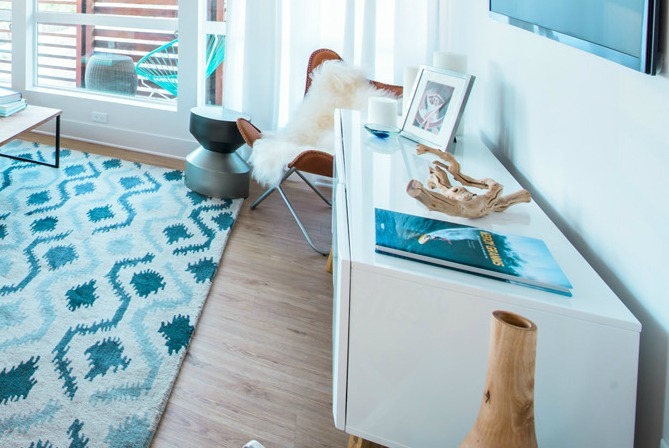 A round, glass coffee table or a wicker chair can take your living room from city living to beach cottage. One of the best parts about apartment living are the endless options when it comes to decorating. 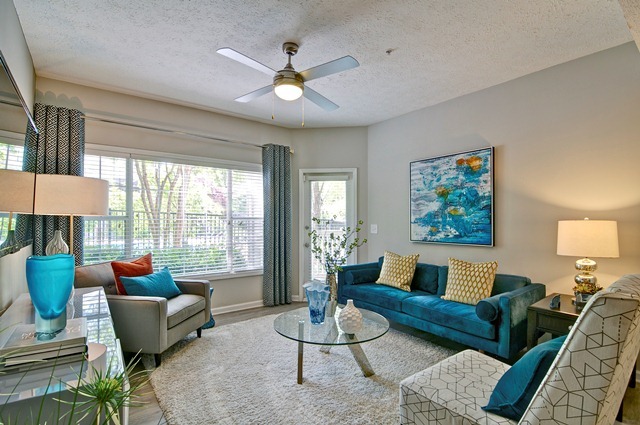 If you’re interested in learning more about Lincoln living, please contact us today!